Size of this preview: 435 × 600 pixels. Other resolutions: 174 × 240 pixels | 557 × 768 pixels. 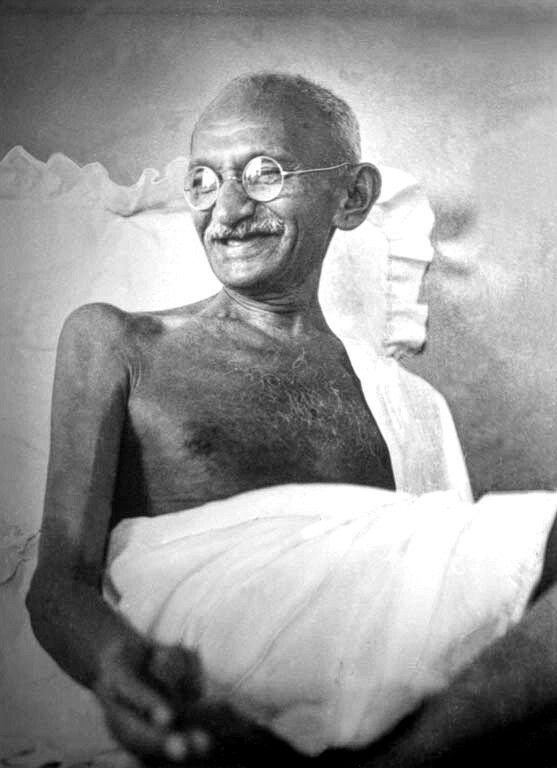 English: Gandhi smiling at Birla House, Mumbai, August 1942.
it was in the public domain in its home country (India) on the URAA date ( 1 January 1996 ). For background information, see the explanation on Non-U.S. copyrights. This template applies to works first published in India. For anonymous works, photographs, cinematographic works, government works, works of corporate authorship or of international organizations, and posthumous works (other than those above), this template applies to works published before January 1, 1941, and for any other kind of work, this template applies if the author died before January 1, 1941. Please also note that this template should not be used for sound recordings.